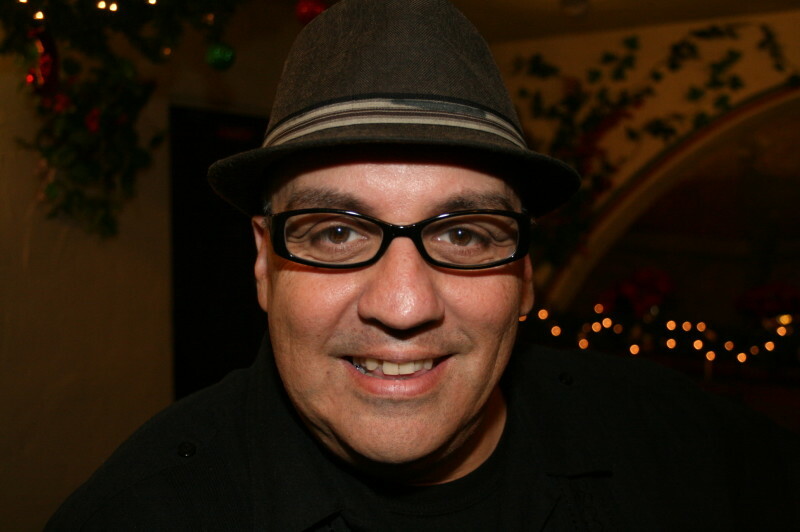 Luis Alfaro often writes plays about Latinos in California, with an unexpected framing device: Greek drama. For instance, Oedipus El Rey, winner of a Glickman award (which is awarded to the best new play that had its world premiere in the Bay Area), resets the famous Ancient Greek tale of father-son rivalry and motherly love in a Kern County prison and the Los Angeles barrios. 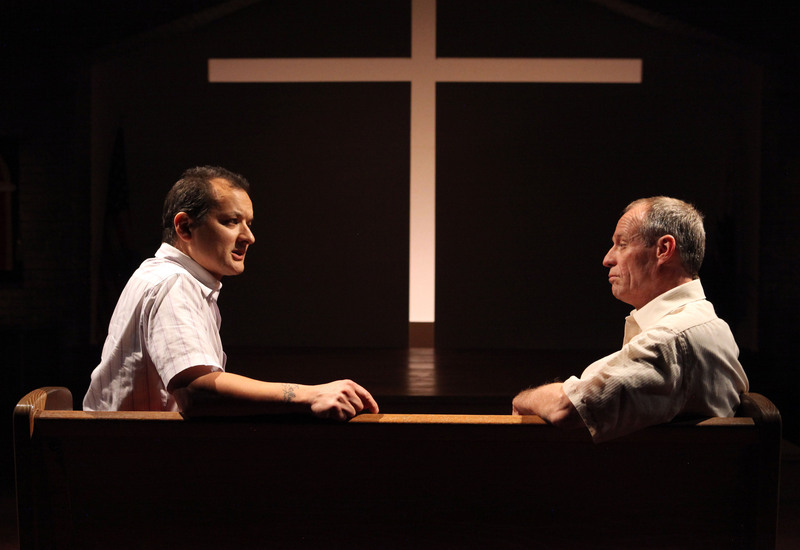 Now the MacArthur winning playwright has shrugged off those ancient forms and written the first in a trilogy of plays about a minister reviving a Pentecostal church in the town of Delano called This Golden State. The Magic has co-commissioned the trilogy with the Oregon Shakespeare Festival, where Alfaro is resident playwright. Located in the Southern San Joaquin Valley, Delano is famous for being the birthplace of the United Farmworkers Union (UFW). Alfaro says he spent his summers there, on what he laughingly called summer holidays. Really, he picked fruit and vegetables alongside his parents, who were active in the UFW. How much of your own experience growing up in Los Angeles and Delano do we see in the experiences of the characters? My father was a very, very staunch catholic, my mother was a hard-core pentecostal, and somehow they managed to respect each other. I was at Alleluia Churches Saturday night and an altar boy at the catholic church Sunday mornings. So I did a lot of religion when I was a kid. Mostly what I’m talking about is how pentecostalism for a lot of immigrants is a new American religion. I mean it’s the fastest growing religion in the world, especially for immigrants. Having been raised both a catholic and what we call an apostolic pentecostal, it’s interesting to see the way both churches operate. You come to this country and there’s a kind of assimilation that happens, whether you like it or not. It’s interesting that it's reflected in a religion that’s a little louder, involves tambourines and speaking in tongues, and things of that sort. So when you come to the play, you’re actually coming to a bit of a church service. There’s some singing and you receive a little "missalette," a miniature hymnal, with some hymns in it. You’re really walking into what looks like an old church in Delano, California. How did your family deal with the division -- your father being a catholic and your mother, pentecostal? I was raised in really abject poverty in downtown Los Angeles at a time when it was really violent and really poor. Religion was the way I survived a really tough neighborhood. The one thing I will say about the gangs in the 1970s is they were very respectful of the church. They didn’t mess with the church in any way. You really felt that word "sanctuary" in the church in a big way. My father was in the seminary when he was young. So I think for him catholicism was deeply embedded in him. He was tolerant, I would say. I never felt like they were competing or in conflict with one another. And they never talked bad about each other’s religion. And if you’re a young theater geek, something about the catholic church and its rituals is very exciting especially if you’re an altar boy. Because you kind of figure out that Latin mass is presentational, it’s processional. It looked amazing. Then coming over to the pentecostal church, it was deeply embedded in people’s dreams and beliefs. You have a lot of community building inside of it. On Saturdays we’d go and start with the bible school, and there was a prayer meeting for the parents. My mother cooked and everybody would eat together. So it had a sense of a commune of sorts. I’d say it was a little bit of a haven, especially for many of the immigrants in the community where I grew up. Even though I’m not actively involved with that religion anymore it feels like family. You call everybody brother and sister. You’ve worked very hard in the past to get Latino audiences into the theater. What are you doing at the Magic for This Golden State ? I consider myself an artist who really came to art because I wanted to change the world. One of my other homes is at the Victory Gardens Theater in Chicago. I did a project there where at the first preview there was not a single person of color. But Chicago is an incredibly diverse city. So we started a campaign. Every night I said, if you could bring one young person to the theater or you can donate 10 dollars, we will give that ticket to a student. Immediately the first night I think we made $3500 dollars. And we started getting busloads of kids. I think it’s super important to have that next generation come see a play like this. Not just my play, but also to come to the theater to wrestle with the big ideas of our society, to sit in a communal space, and to learn the ritual of theater. In some way we go to the theater to learn to be better people. Right now at the Magic Theatre we’re making a concentrated effort to get people from Latino arts organizations in town and give them free tickets. If someone wants to come, they won’t be turned away for want of a ticket. Do you plan to put flyers at pentecostal churches around the Bay Area? The play is very authentic. The costuming alone is exactly the way pentecostals look in the Central Valley. What should I wear if I want to look like a member of the pentecostal church? Very working class. I would think something [made by the work clothes company] Dickies, right? Because you’re talking about people working the fields or people who work at one of the two state prisons. This Golden State opens Wednesday, June 10 at the Magic Theatre.